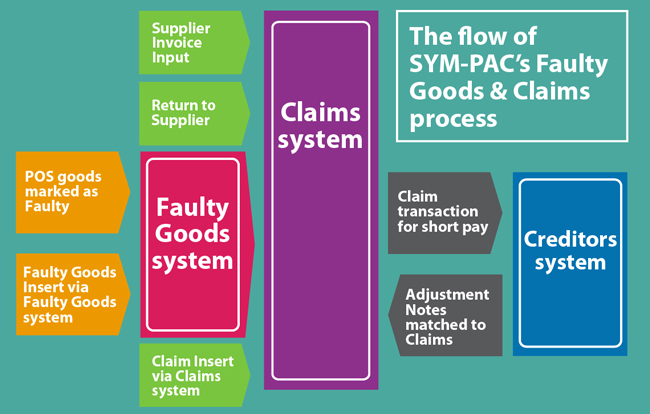 The SYM-PAC Faulty Goods and Claims functionality has been redeveloped to allow better tracking of both systems. The Faulty Goods system records any products marked as faulty, allowing the system to track its replacement and/or requirement for a Creditor Claim. 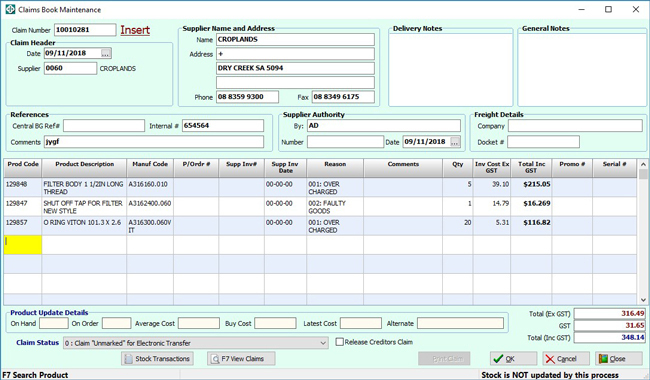 When fully integrated to the SYM-PAC Inventory & General Ledger system, the program will reduce your inventory and keep track of the faulty goods in the Faulty Goods system. Your General Ledger will reflect the goods in a control account. 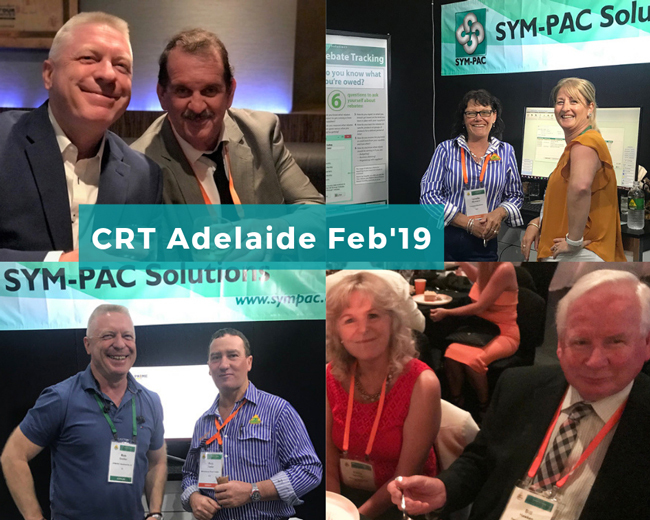 The SYM-PAC Claims system records any value adjustment or product claims for a supplier, allowing the system to track its progression. The claim can be treated as a “short payment” against the Creditor until the adjustment note has been received from the supplier, where it can then be matched to the claim. The data flow for the Faulty Goods and Claims can be simplified and explained with this diagram. 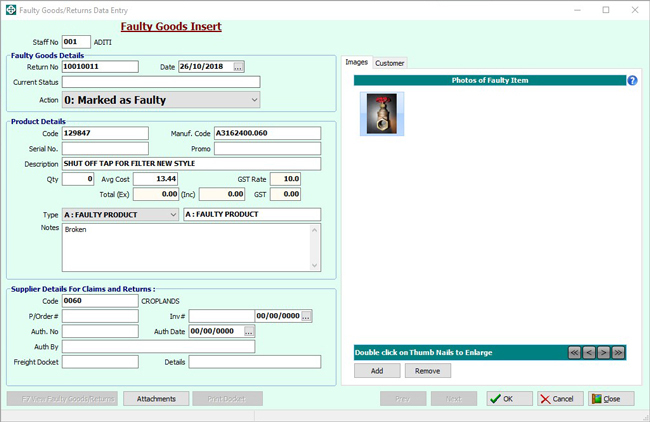 The Faulty Goods and Claims system is core SYM-PAC functionality, and the menu items are available for ALL stores. 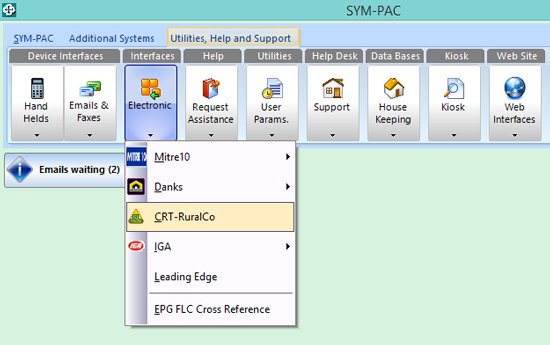 Due to the complexity of this functionality, there are several setup items to consider: for example, General Ledger integration, defaults for claim release/hold, and so on, which SYM-PAC can review and configure for you. To discuss Faulty Goods and Claims in more detail, please contact Client Services on 1300 361 732.